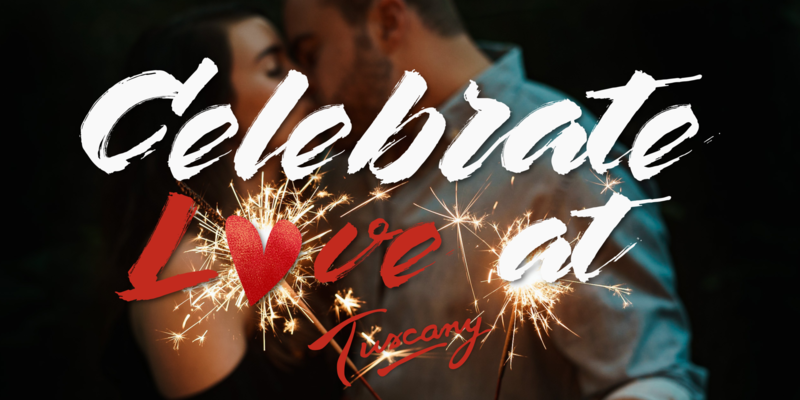 Celebrate Valentine’s Day at Tuscany in Wheeling! Valentine’s Day is a day to express your feelings and renew the bond of love you share with your Valentine. To make this Valentine Day memorable join us at Tuscany in Wheeling for a special romantic Italian Dinner. The most romantic Italian restaurant in the Northen Suburbs will be offering our regular menu along with delicious specials from Executive Chef Bella Loza.